There always seemed to be Hallowe’en parties when I was young. No trick or treating in my day, I think that is a more recent import but certainly apple bobbing, eating doughnuts off pieces of string for some reason, pinning a nose on a witch and the like. A lot of little girls dressed up as traditional witches in black with pointy hats and broomsticks but I can’t for the life of me remember what the boys came as. Anyway, as this years’ Hallowe’en nearly falls in half term my children thought it a bonza excuse for a party and away we went. We have cut out bats from black paper, ghosts from white paper and of course pumpkins from orange. Many, many cobwebs have been fashioned out of newspapers (just google it and you can find out how to fold, cut and create a cobweb). Pumpkins have been carved, old cans punched with holes and filled with candles and many, many lanterns adorned the garden. We have really gone to town. What I have particularly enjoyed is the homemade aspect, that we have all sat around the table snipping and sticking, it takes me back. As you might expect I have also been busy in the kitchen and share with you here some ideas should you need them. To kick off we had marshmallow toasting by the bonfire and lots of paper cones filled with popcorn upon which I drizzled butterscotch sauce. For tea, Chilli (February 2014) – not too spicy but with enough heat to warm the children up after charging around outside served with rice and cornbread. 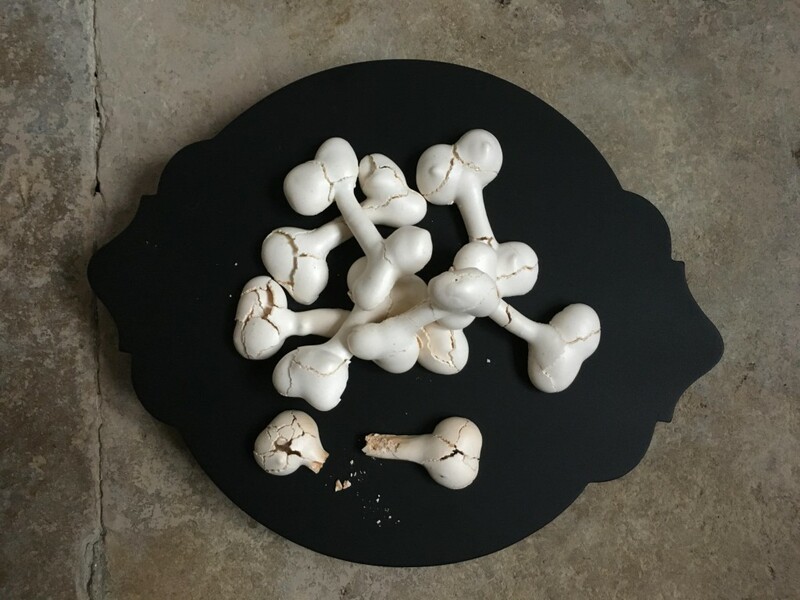 The array of sweet treats included meringue bones – whip your egg whites and sugar until super stiff then pipe out and bake, they look fabulous and taste great too. 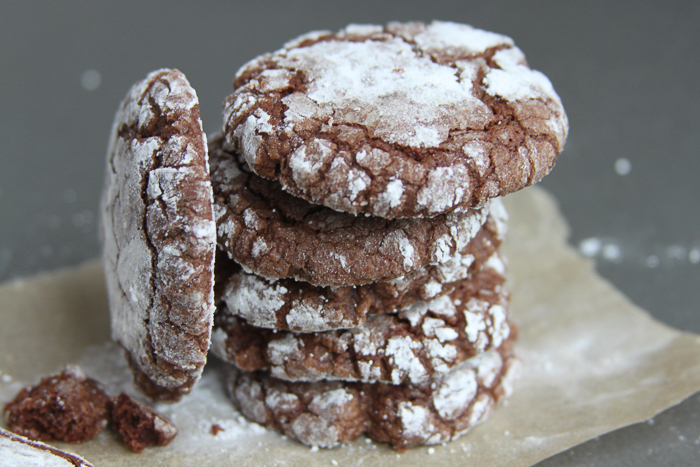 Spooky cobweb cookies (October 2014) and finally Graveyard puddings. 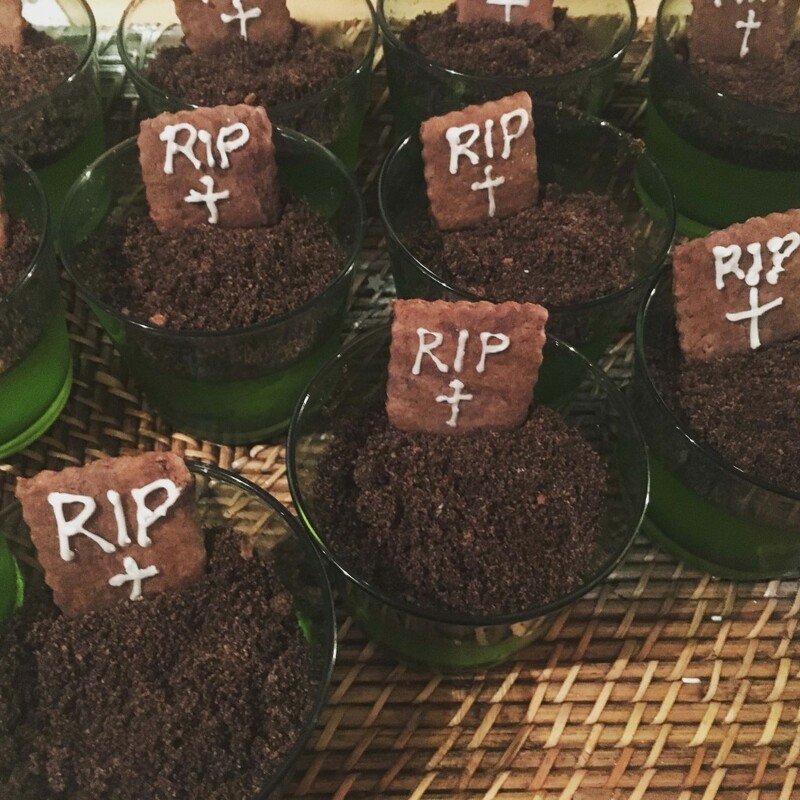 These were simply lime jelly topped with a gravel of whizzed up Oreos and I made some little chocolate biscuits iced to represent gravestones. 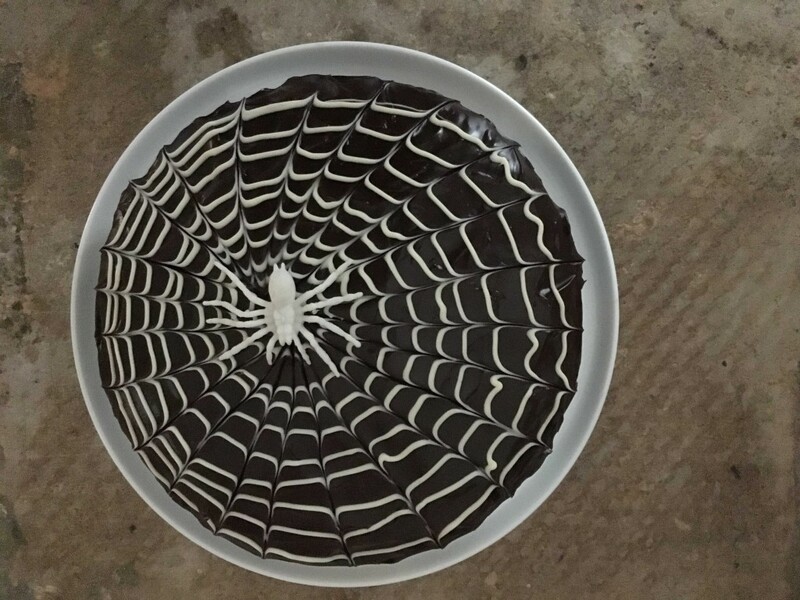 To finish a triple layered chocolate cake with a white chocolate cobweb piped onto the dark chocolate ganache adorned with a large spider. Have fun!